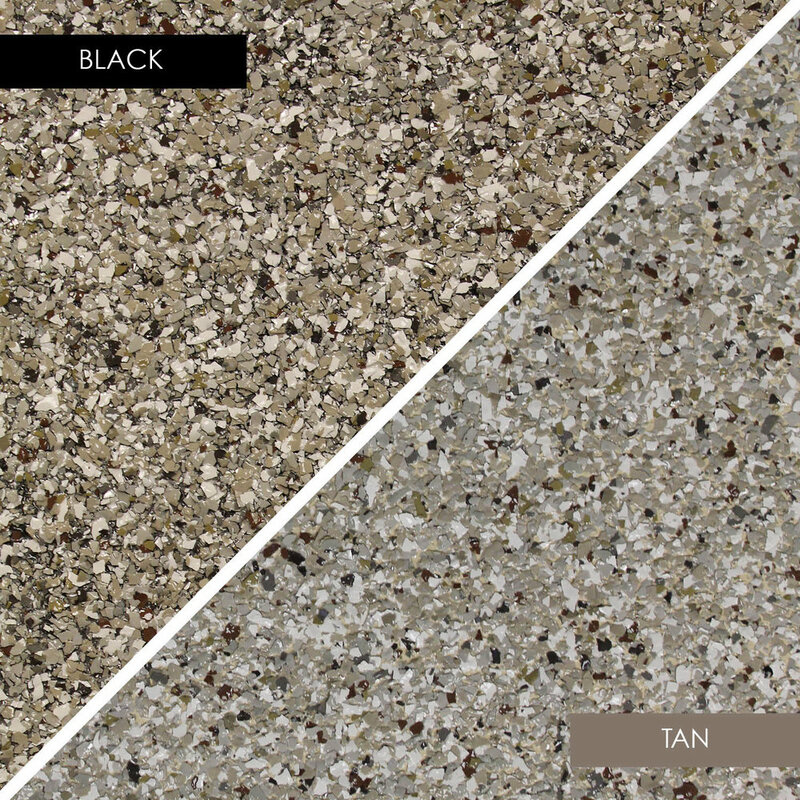 Zone garage offers a variety of color choices of GraniteShield® to match your interior garage or your exterior house color. 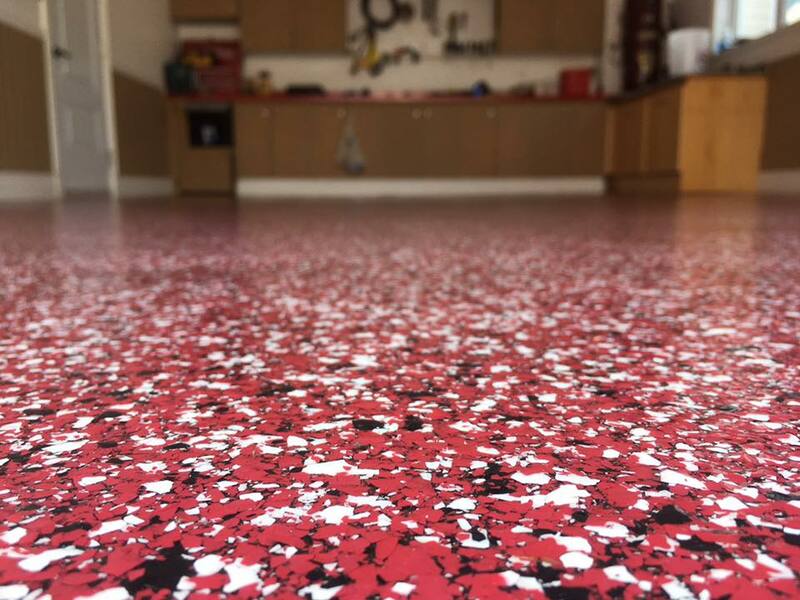 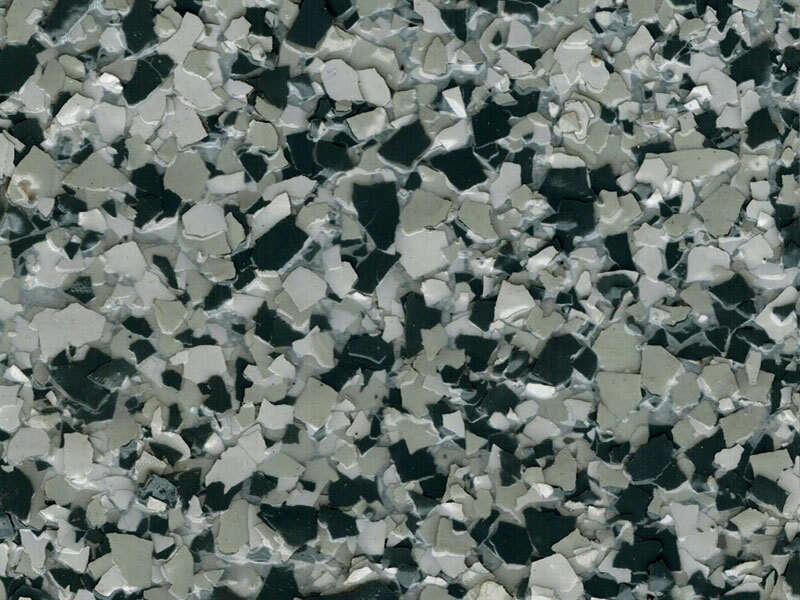 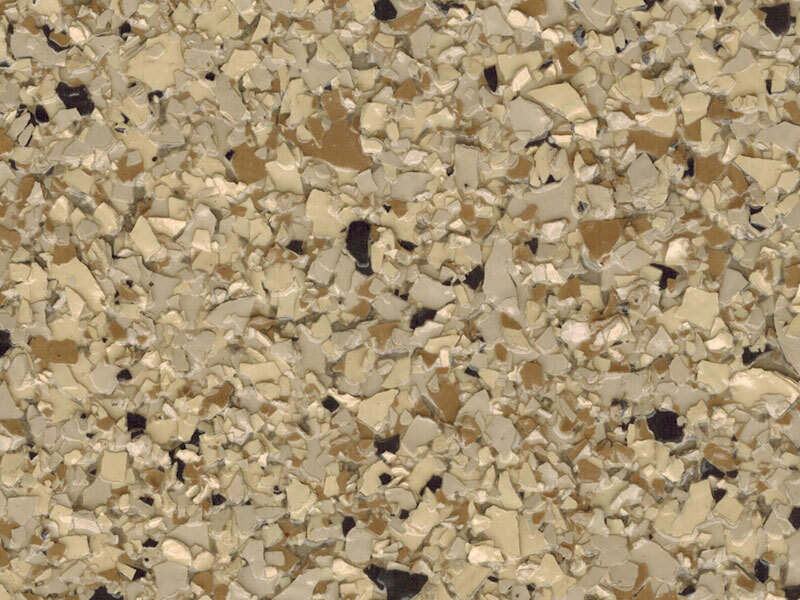 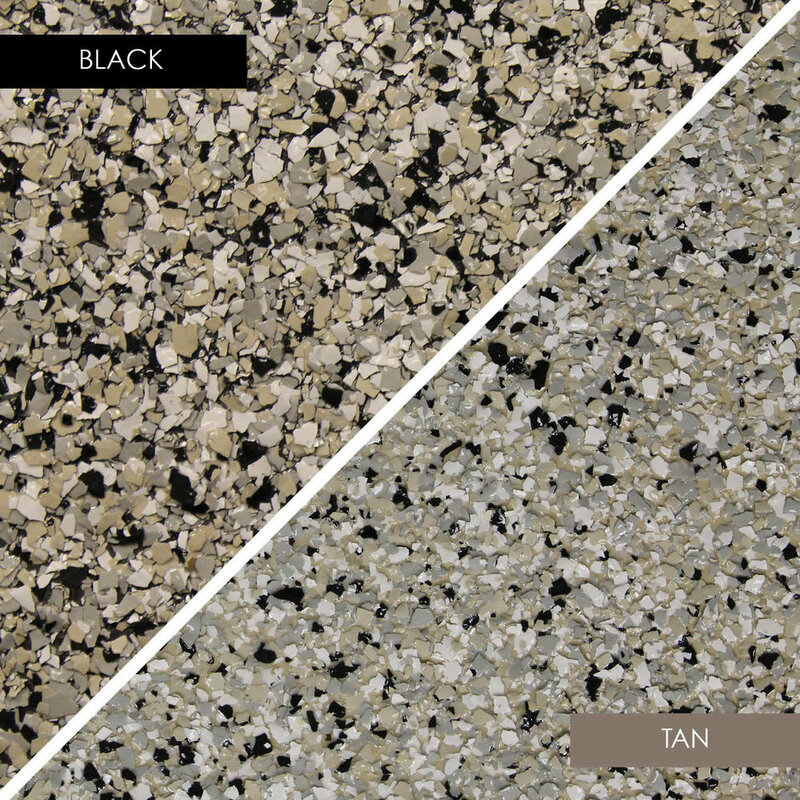 We can even create custom colors to further customize your floor. 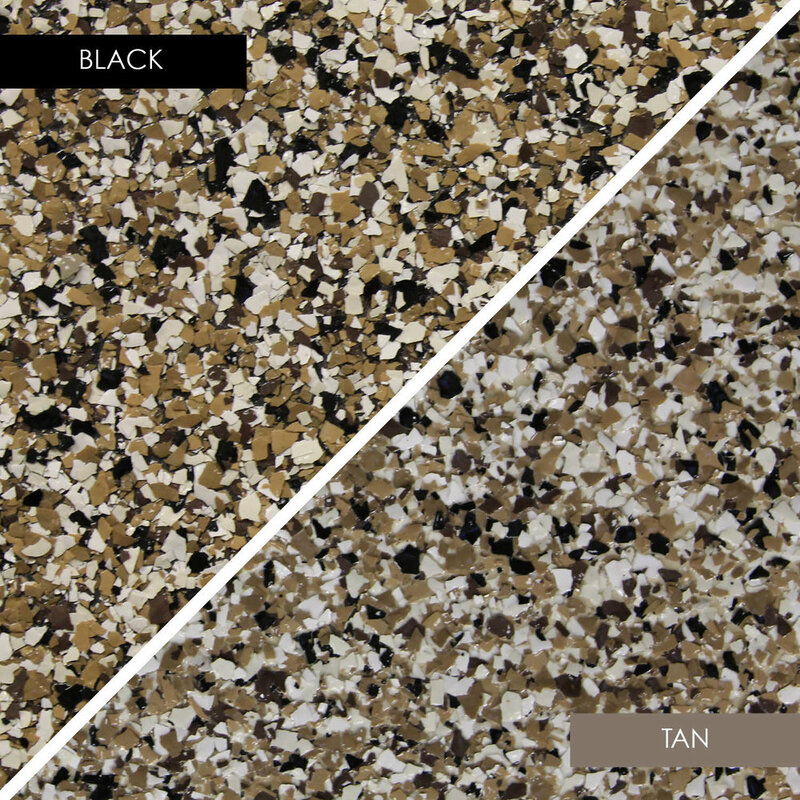 You can choose from two different background colors: tan or black. 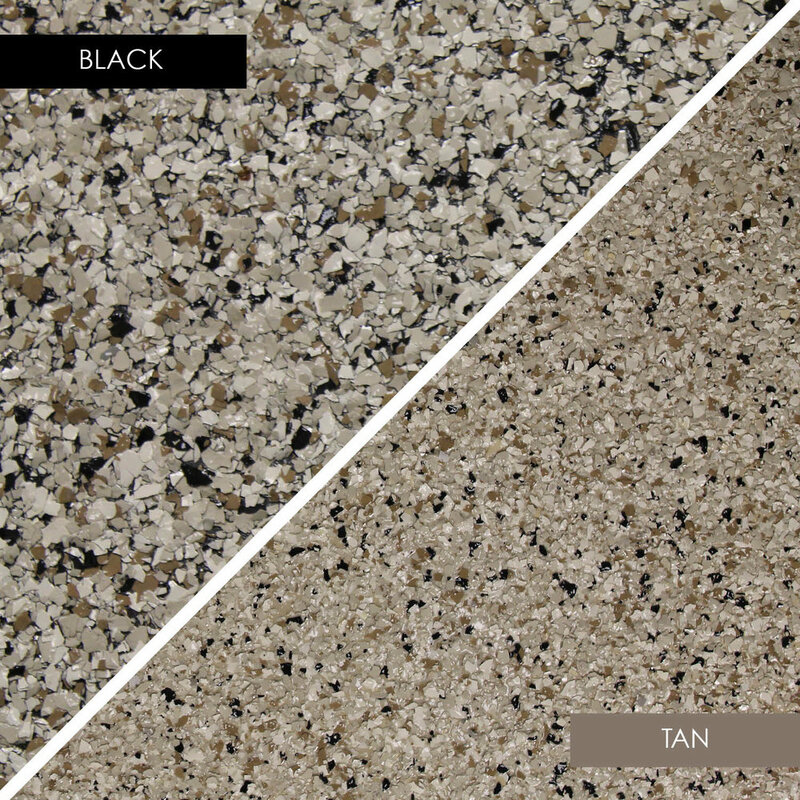 In the example images, left is black and right is tan.